Alternate 19 south of Curlew Road you will find the villa style homes of Daventry Square. 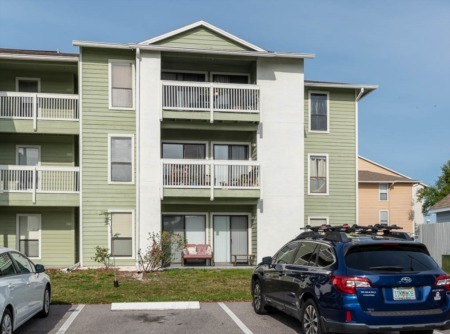 These two bedroom, two bath units are very sought after in Palm Harbor, FL. They are in a great location close to the beaches, shopping, the Pinellas Trail, community parks and Honeymoon Island State Park. Each unit features living and dining room areas, large master bedrooms with walk in closets, and a screened lanai. Split bedrooms plans, skylights, large eat in kitchens and lots of counter space is available in most models. Each home is approximately 1100 sq. ft. and were built in 1986. They have no age restrictions, allow pets and have a low maintenance fee. All units have designated parking with either a 1 car garage or carport parking. All of these great features and they have a community pool and park as well and all the upkeep is done for you included in your monthly payment! Located near historic downtown Palm Harbor where you can shop, dine and enjoy seasonal festivals. With these modest homes so reasonably priced, they sell fast. Come see for yourself if you new villa home is for sale right now! Selling your home in Daventry Square? 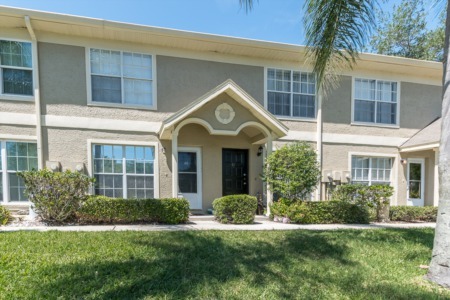 Daventry Square is a neighborhood in Palm Harbor that we feel comfotable selling in, and our agents are confident we can definitely get you the best deal out of the sale. Call us now to speak with an agent for a quote and start the process of selling your home or enter your contact information in the form below to get in touch with our agents via email.